Town Makarska grew around a natural harbor protected by the picturesque peninsula of St Peter and Cape Osejava and is the largest and the only one available port between the mouth of the Cetina and Neretva. It's safe haven and refuge for bad weather sailors, pirates and merchants, and now tourist yachts, sailing boats and excursion boats. Makarska is located in the foothills of Biokovo (1762 m), which protects it from the harsh continental climate and a rich Mediterranean vegetation, mild winters, long hot summers with a refreshing breeze. The sun is more than 2750 hours per year and the air temperature of 20 ° C from June to September, a clear view from June to October has a temperature above 20 ° C. Sandy beach, long almost 2 km and it was, and still recognizable. The walkways are lined with pine trees and tourist facilities, hotels, apartments, villas with swimming pool, restaurants with gastronomic specialties, and plenty of entertainment for children and adults. Today in the town Christmas be merry! Due to sudden and immediate inability of the President of the City Council meeting convened for 17 December at 13.00 hours delay in accordance with the Rules of Procedure of the City Council • 21st December 2012 (Friday) at 14:00 am at the "Park". Generates the adjustment program of tourism infrastructure for people with disabilities town of Makarska (Mayor's Office) applied in September at the invitation of the Ministry of Public Tourism for project application for a grant under the program to improve the tourism sector offers "step forward" in 2012. Town of Makarska approved 110,000.00 kuna for the program "Adaptation of tourism infrastructure and facilities the city beaches of persons with disabilities." This amount has been approved for implementation ramp to enter the water for people with disabilities at the town beach. 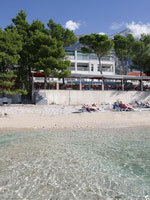 Given that it was the beach town Makarska central place in the city where the overwhelming number of visitors, whose number is increasing year after year, and why the tactile great pressure on the coastal strip and the sea, it requires the existence of a special infrastructure for people with disabilities - primarily the ramp to enter the sea. With this project we want to fit into the existing infrastructure of the City and provide facilities for persons with disabilities in places in which, during the busiest tourist season, and thus help in the free enjoyment of visiting attractions of our city and enjoy the sun and sea. Ramp construction project is just one part of the overall adjustment program of tourism infrastructure and facilities the town beach, which we plan to implement with partners. The plan is to purchase the ramp lifts, as well as toys for people with disabilities on the playground Walkways Franjo Tudjman and the realization of the swimming school that would organize the Association of the Sun for its residents, but also children with disabilities who reside in the city as tourists. Agreement on cooperation with the project partners to realize this project, the Agreement on Cooperation between Makarska Tourist Board, Makarska Komunalac Inc., Park Hotel Makarska, Makarska Hotels Inc., the Commission for persons with disabilities and special needs of the City and the Association of Makarska Makarska to the Sun to express their willingness to cooperate in the area to ensure smooth access, movement, residence and work for people with disabilities and reduced mobility at the Town Beach. Project Objectives Some of the goals of this program are: to improve the physical accessibility of tourist infrastructural facilities and amenities in order to create conditions for active holidays for people with disabilities, raising the quality of life for people with disabilities, citizens and tourist town of Makarska, raising the quality of tourist destinations, creating conditions for the implementation of social tourism accessible to persons with disabilities. 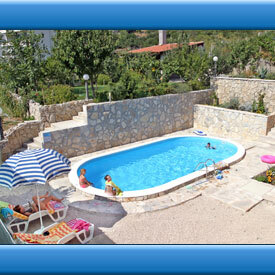 Croatia Holiday Homes way to the perfect vacation! Accommodation in Croatia "Makarska Holiday Home" is a travel agency that specializes for luxury private accommodation in Makarska Riviera. Makarska Riviera is famous tourist town in Croatia, known for its beautiful long sandy beaches and clear waters. Our offer is as varied by type of Accommodations and priced per class. We offer apartments in private accommodation near the sea, luxury villa with swimming pool and hotels, we have villas and apartments on the beach and in the villages above Makarska. All our villas and apartments are well equipped with all amenities for a pleasant family holiday, accommodation owners are very friendly and communicative, always available for all your needs. If you choose to spend your holidays in Makarska, we hope you will choose one of our accommodation and we look forward to seeing you. 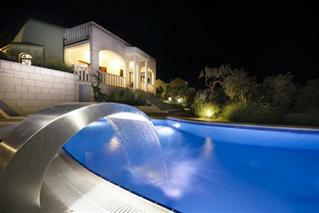 Villa Art is a brand new luxurious building with 4 stars. The villa apartment which is rented by the whole house guests. Located in a quiet part of Makarska where you in the morning instead of the car noise wakes up the birds. Situated on a slope, facing the sea and always sunny, located just 500 meters from the center or 600 yards from the beach and 200 meters from the shops and restaurants. The villa has a swimming pool 8 x 4 m, depth 1.5 m, a large garden with lawn and fruit trees, vegetables and flowers, a large gazebo with a barbecue and a massive wooden table for 8-10 people, the house is inside the fenced yard and parking for 4 - 5 atomobila. From the terrace of the villa offers a magnificent view of the sea and the islands of Brac and Hvar and on the other hand is the view of the mountain slope. If you decide to spend your holiday in Makarska hope you choose our and your "Villa Art" We look forward to seeing you. Luxury Apartment Nevena for (2 + 2) persons a newly built luxury duplex apartment, modern and well equipped with the exclusive interijerom.S balconies, terraces and bedrooms offer a magnificent view of the sea and neighboring islands of Brac and Hvar. 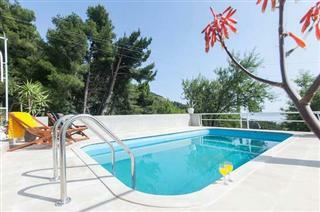 Located in the western part of Makarska, just 20 meters from the beautiful sandy beaches and numerous restaurants, bars and other entertainment. 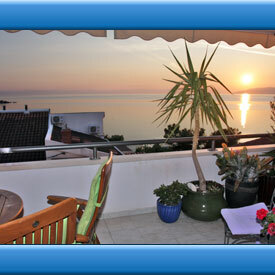 Located on the top floor and occupies the entire floor has a large covered terrace with barbecue and 2 balconies. The house has an elevator and the apartment's own garage. 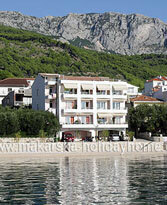 Makarska holiday accommodation special offer ! The house has a garage with a garage. The balcony overlooking the sea and otke Hvar and Brac. Nearby are numerous restaurants, shops, cafes and other facilities for tourists. If you choose to spend your holidays in our apartment, we do Cittar We will try to give you to be a holiday to remember. Do you want to vacation at sea in Croatia? 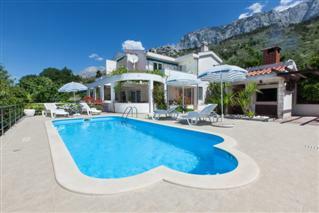 Makarska Riviera is Small place for a great holiday ! Sanctuary "VEPRIC" Croatian Lourdes shrine was founded in 1908 Bishop Dr. George Kinglet (1867-1921), who is buried in the shrine. Natural caves and scenery with hills, plants and spring between them recalls the Lourdes, where the Bl.Dj.Marija year 1858. appeared 18 times to Bernadette Soubirous. This center is also a chapel and the sacristy, the altar in the square, confessionals, Stations of the Cross, the home of the spiritual exercises, walking processions. Podignutra a new house for the sanctuary and retreat. Because of its natural beauty and tranquility, this place has a very good attendance throughout the year, and the main pilgrimage days: 11.II, 25.III, 15 VIII, 7 8 and IX. Beach bar "BUBA" To experience the most Craziest party on the Adriatic Sea must visit Beetle Bar in Makarska. Situated along the coast on the pebbly beach, newly renovated bar with happenning every night. During the morning is the perfect place to enjoy a cup of coffee, and swimming in the sea. As the sun warms the more so sezagrijava atmoshpere and the Beetle Bar. During the afternoon, a wild dance parties and happy hour after the Beach Party event. The night welcomed popular DJs, bands and various concerts. Incredible atmosphere is something you have to experience for yourself ! Dalmatia is the largest Croatian tourist region in which there are three large tourist center. The northern section is a three thousand year old town of Zadar in Dalmatia is located city of Split and Dubrovnik in the south, whose growing old part of the town is on the UNESCO world heritage list. Besides these glasvnih tourist centers are located in Dalmatia smaller tourist centers such as Sibenik, Trogir, Makarska and many coastal settlements in the Sibenik, Zadar and Makarska Riviera. In Dalmatia, also located and four Croatian National parks Paklenica, Krka, Kornati and Mljet, numerous speleological diving locations or attractions. Dalmatia is known in the world of tourism and its many islands. In northern Dalmatia, of Kornati and Dugi island with a lake situated at the top of the 146 meter high cliff in central Krapanj Hvar as the most famous and the sunniest Croatian island of Brac with its famous beach Zlatni rat, Solta and Vis. In southern Dalmatia south settled Korcula, Lastovo, Mljet and Elaphite Islands. Peninsula, situated in southern Dalmatia, an important part of the Croatian tourist pound. On the peninsula are larger resorts such as Ston, Orebic or Trpanj many small settlements. Peninsula abounds in vineyards, and as a kind of attraction on the peninsula there is a road with many wine cellars and wines of the highest quality. Makarska has always been the center of the surrounding region known as Makarska Riviera, both in an administrative, political and economic sense, as well as a center of culture, education, and since the mid twentieth century, tourism. Today, it is a city of more than 15 thousand inhabitants that encompasses picturesque villages at the foot of the Biokovo Mountain, including Veliko Brdo, Puharići, Kotišina and Makar (which is where the name of Makarska comes from). Makarska is one of the most famous tourist destinations on the Croatian coast, attractive for its nature and good climate, rich in tourist attractions and full of hospitable hosts. 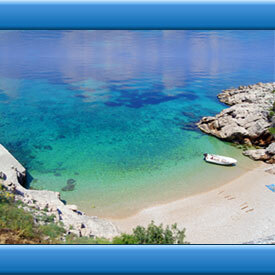 To this day, Makarska is known for its sandy beach, which is almost 2 kilometers long. The walkways are lined with pine trees and surrounded by luxury hotels, tourist facilities, and gastronomical havens, and there is plenty of fun for both adults and children. Makarska is located below the mountain of Biokovo (1762 m), which protects it from the harsh continental climate and is responsible for its rich Mediterranean vegetation, mild winters, long, warm summers cooled by a refreshing breeze called maestral. 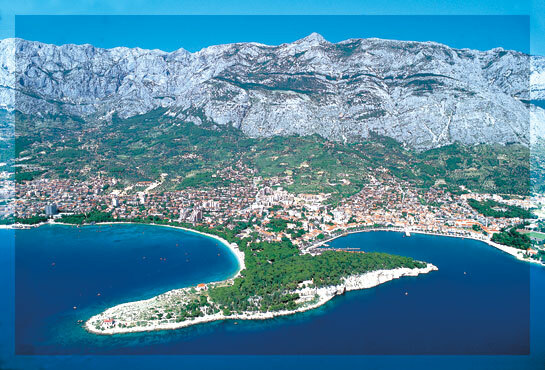 Makarska has more than 2750 hours of sun each year and the air temperature above 20°C from July to September. During these same months, the crystal-clear sea also averages a temperature of above 20°C. The city of Makarska grew around a natural harbor protected by a picturesque peninsula of Sveti Petar (St. Peter) and the cape Osejava. It is the only harbor of this kind between the mouth of the Cetina and Neretva rivers. 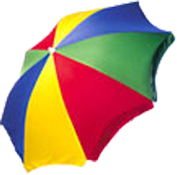 In the past it provided protection and safe harbor during stormy weather to sailors, pirates and merchants, and nowadays it does the same for yachts, sailing boats and tourist ships. This contributed to its development into a trading port, especially during the Ottoman and Venetian occupation. Today, there is a ferry line which runs a few times a day from Makarska to Sumartin on the island Brač. During the summer months the harbor fills up with yachts and tourist ships, while young people crowd the main Kačić square enjoying entertainment and cultural performances. As the night goes on, Makarska becomes livelier and livelier, and its cafes, restaurants and discotheques fill up. The best way to become familiar with the history of this city is by visit¬ing the Franciscan monastery which recently celebrated its 500th anniversary. The monastery boasts a picture gallery, library, one-of-a-kind Malaco-logical museum (dedicated to the study and preservation of mollusks) and the Institute of Mountains and Sea. The church of St. Marko is located on the Kacic square. On its north side are: the Gojak gallery, located in the old school building, public library, the school of music, and the headquarters of the Makarska Riviera radio. The city museum can be found on the waterfront, as well as the church of St. Filip. The renovated church of St. Petar is located in the St. Petar park, a spot with a beautiful view of the city, magnificent Mount Biokovo and the open sea. Makarska's geographical position is 44° 17' 38" latitude and 17° 1' 20" longitude, which places it approximately in the center of north-western half of the Makarska coast. Makarska holiday home je turistička agencija koja raspolaže sa najluksuznijim privatnim smještajem na Makarskoj rivijeri. Naši apartmani i ville su vrhunski opremljene za ugodan boravak gostiju. Kuće za odmor koje imamo u našoj ponudi u selima iznad Makarske pružaju ugođaj zaboravljenih starih vremena a istovremeno pružaju luksuzan i komforan smještaj, uz vile sa bazenom, apartmani s bazenom i apartmani blizu mora na najljepšoj plaži mediterana su u našoj ponudi. Croatia holiday homes je također naša web domena. Apartmani:"Makarska holiday home" raspolaže sa najluksuznijim apartmanima na Makarskoj rivijeri. Makarska rivijera ima bogatu turističku tradiciju iznajmljivanja apartman u privatnom smještaju. Apartmani u Makarskoj su vrhunski opremljene za ugodan boravak i odmor gostiju. Svi naši apartmani su opremljeni WiFi-internet, SAT-TV, klima uređaj itd. Luksuzni apartmani i apartmani s bazenom koje imamo u našo ponudi pružaju fantastičan ugođaj luksuznog odmora. U bogatoj ponudi su i Apartmani blizu mora, na samo par koraka od najljepše plaže na Jadranskom moru. Ako se odlučite za odmor u Makarskoj naši apartmani stoje vam na raspolaganju. 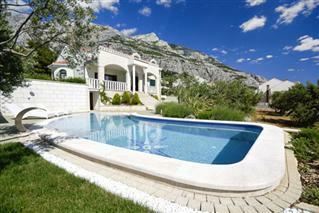 Croatia Makarska holiday home has the finest private rental accommodation on Makarska Riviera. Makarska Riviera has a long and rich tradition in renting holiday apartments in private accommodation at the Adriatic Sea. Apartments in our offer are modern and well equipped to a very high standard for a comfortable and relaxing stay guests. 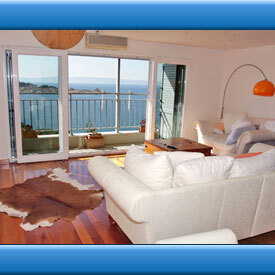 All of our apartments are equipped with WiFi internet, satellite TV, air conditioning, etc. Our offer provides luxury apartment close to the sea and beautiful beaches, proximity to the beach makes them ideal for families with small children and the elderly. 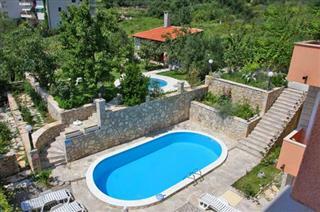 Also in our offer we have houses with private swimming pool. If you decide to vacation in Croatia, we hope that you will choose Makarska and one of our apartments and we are at your disposal. Kroatien Makarska Ferienhaus ist ein Reisebüro, das zu den luxuriösesten privaten Unterkünften an der Makarska Riviera bietet. Unsere Makarska Ferienwohnungen und Ferienhäuser sind komplett ausgestattet für einen komfortablen Aufenthalt ausgestattet. Makarska Ferienhäuser, dass wir in unserem Angebot in den Dörfern über Makarska bietet die Atmosphäre der alten Zeiten vergessen und bieten eine luxuriöse und komfortable Unterkunft, die Makarska Villen mit Pool und Makarska Ferienwohnung mit Pool Bestandteil des Angebots sind. Makarska Ferienwohnungen am Meer an einem der schönsten Strände des Mittelmeers sind ebenfalls Teil unseres Angebots. Kroatien Ferienwohnung ist auch unser Web-Domain, die Makarska Unterkunft bietet. Makarska Case Vacanze è una agenzia turistica che offre la sistemazione più lussuosa private sulla riviera di Makarska. I nostri appartamenti Makarska e le ville sono completamente attrezzate per un soggiorno confortevole. Case vacanze Makarska che abbiamo nella nostra offerta nei villaggi sopra Makarska offre l'atmosfera di altri tempi dimenticato, offrendo una sistemazione lussuosa e confortevole, Makarska Villa con piscina e Makarska appartamenti con piscina sono parte dell'offerta. Appartamenti Makarska vicino al mare sulle spiagge più belle del Mediterraneo, sono anche parte della nostra offerta. Case vacanze Croazia è anche il nostro dominio web, che offre alloggi Makarska. Chorvatsko Ubytování v soukromí Makarska je turistická agentura, která nabízí nejluxusnější ubytování v soukromí na Makarská riviéřa. Naše Makarska apartmány a vily jsou plně vybaveny pro pohodlný pobyt. Makarska Rekreačné Domy, které máme v naší nabídce v obcích nad Makarskou nabízí atmosféru zapomenutých starých časů a zároveň nabízí luxusní a komfortní ubytování, Makarská vily s bazénem a Makarska apartmány s bazénem je součástí nabídky. Makarska apartmány blizko moře na jednom z nejkrásnějších pláží Středomoří jsou také součástí naší nabídky. Chorvatsko rekreační domy je i naše webové domény, které nabízí ubytování Makarska. Dovolená v Chorvatsku a Dovolená v Makarsku. Chorwacja Makarska wakacyjne jest agencją turystyczną, która oferuje najbardziej luksusowe prywatne, noclegi na Riwiera Makarska. Nasze apartamenty i wille Makarska są w pełni wyposażone na komfortowy pobyt. Makarska domów wakacyjnych, które mamy w naszej ofercie w miejscowościach powyżej Makarska oferuje atmosferę zapomniane stare czasy, jednocześnie oferując luksusowe i komfortowe zakwaterowanie, Makarska wille z basenem i Makarska apartamenty z basenem są częścią oferty. Makarska Apartamenty blisko morza na najpiękniejszych plaż Morza Śródziemnego są również częścią naszej oferty. Chorwacja domów wakacyjnych i Chorwacja apartamenty jest również nasza domena internetowa, która oferuje zakwaterowanie w Makarskiej. Makarska, Kwatery. Дома для отдыха Хорватия Макарска туристических агентств, которая предлагает самые роскошные частные размещения на Макарскоa Ривьерa. Наши Макарска квартиры и виллы полностью оборудованы для комфортного проживания. Макарска домов отдыха, что мы имеем в нашем предложении в деревнях выше Макарска предлагает атмосферу забытых старых времен, предлагая роскошные и комфортабельные номера, Макарска виллы с бассейном и Макарска апартаменты с бассейном являются частью предложения. Макарска апартаменты недалеко от моря на самых красивых пляжей Средиземноморья, также являются частью нашего предложения. Хорватия домов отдыха и Хорватия апартаменты также наш веб-домен, который предлагает размещение Макарской. Kroatia Lomamökit Makarska on matkailutoimisto, joka tarjoaa ylelliset yksityistä majoitusta Makarska Riviera. Meidän Makarska huoneistoja ja huviloita on täysin varustettu viihtyisää oleskelua. Makarska lomamökit, että meillä on tarjota kyliin edellä Makarska tarjoaa tunnelmaa unohtanut vanhoja aikoja ja tarjoaa ylellisen ja miellyttävän majoituksen, Makarska huvila uima ja Makarska huoneistoja uima-allas on osa tarjouksen. Makarska Huoneisto lähellä meren kauneimmista rannoista Välimeren kuuluvat myös tarjouksemme. Kroatia lomamökit ja Kroatia huoneistot on myös web-domain, joka tarjoaa Makarska majoitusta. Lägenheter Makarska: Makarska fritidshus erbjuder de mest lyxiga lägenheter i Makarska Rivieran. Makarska Rivieran har en rik tradition i turismen att hyra i privata bostäder. Lägenheter i Makarska är fullt utrustade för en trevlig vistelse och gäster semester. Alla våra lägenheter är utrustade med trådlöst internet, satellit-TV, luftkonditionering, etc. lyxlägenheter och lägenheter med pool som vi har riktade erbjudandet, en fantastisk atmosfär av en lyx semester. I vårt erbjudande finns lägenheter nära havet bara några steg från den vackra stränderna vid Adriatiska havet. Om du väljer att semestra i Makarska våra lägenheter står till ditt förfogande. Huoneistot: Makarska lomamökki tarjoaa ylellisyyttä huoneistoja Makarska Riviera. Makarska Riviera on pitkät perinteet matkailun vuokrattavana asuntoa yksityisiltä. Asunnot Makarska on täysin varustettu miellyttävää oleskelua ja loma vieraille. Kaikissa huoneistoissa on langaton internetyhteys, satelliittitelevisio, ilmastointi jne. Luksushuoneistot ja huoneistoja uima jotka olemme suunnattu tarjous, fantastinen ilmapiiri ylellisyyttä loma. Meidän tarjous on huoneistoja lähellä merta vain muutaman askeleen päässä kauniista rannoista Adrianmeren. Jos valitset loman Makarska huoneistot ovat käytettävissänne. Croaţia - Makarska Casă de vacanţă este o agentie de turism care oferă cazare de lux privat în Makarska Riviera. Apartamentele noastre si vile sunt complet echipate pentru un sejur confortabil. Case de vacanţă pe care le avem în oferta noastră, în satele de mai sus Makarska oferă atmosfera de vechi ori uitate în timp ce oferă o cazare de lux şi confortabil, vila cu piscină şi apartamente cu piscine sunt parte a ofertei. Apartamente in apropiere de mare, pe plaja frumoasa din Marea Mediterană sunt, de asemenea, parte din oferta noastră. Croaţia, case de vacanta, de asemenea, este de domeniul nostru de web.